Took my girlfriend’s kids out trick-or-treating. Addison went as a bunny. Sammy went as “Mr. 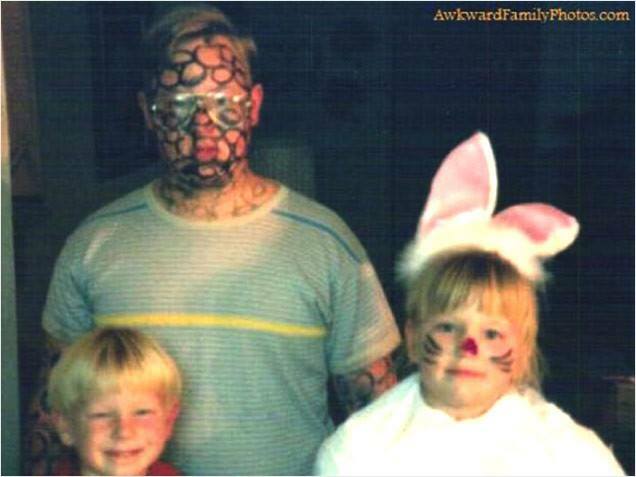 Give Me Some Friggin Candy.” Employing a bit of creativity and a Sharpie, I went as a chain-link fence. After the third house where I asked the people to guess what I was, Addison and Sammy said they’d be fine on their own. After the fifth, they became quite insistent. After the seventh, they got violent.